On 21st October, a Puyuma express train of the Taiwan Railways Administration (TRA) came off the tracks near Suao in north east Taiwan, killing at least 18 people and injuring more than 150. TRA has a good safety record and fatal accidents involving passengers are rare. This one was the worst in the country since 1981, where 30 people were killed when a train hit a gravel truck. Whatever the cause of the accident, and at this time of writing it is still far too early to know, it raises wider questions surrounding communications between the east coast of Taiwan and the rest of the country. Travel to and along the coast has always been hindered by geographical obstacles and the area has often seemed remote to many Taiwanese. 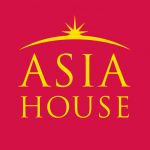 In Chinese times, the region was the domain of aboriginal tribes and lay outside the area under nominal government control. Links improved under the Japanese but the road along the coast between Suao and Hualien remained dangerous and often closed by landslides. The railway link between Taipei and Hualien was not completed until 1980; that round the south coast between Pingtung and Taitung only opened in 1992. But for many if not most travellers the railway is still preferable to the slow journey by road. Only in 2006, with the opening of the Hsuehshan (雪山) tunnel, were Yilan and Suao connected with Taipei by expressway. The tunnel is a triumph of civil engineering: the 5th longest road tunnel in the world and the longest in Asia when it was opened, it took 15 years to complete, largely due to the complicated geology of the area. But the planned completion of the expressway as far as Hualien was eventually abandoned on both cost and environmental grounds, to be replaced by a less ambitious scheme to upgrade the narrow and congested SuHua highway. Even this has yet to be completed, however, while the approach roads to the Hsuehshan tunnel see long queues at busy times, meaning the train often remains the preferred means of travel. To the frustration of many Taiwanese, this remains far inferior to services down the west coast, especially since the Taiwan High Speed Railway (THSRC) opened in 2007. Today, the fastest trains on the THSRC take just 1 hr 45 minutes to go from Taipei to Kaohsiung. Journey times to the east coast are modest by comparison: 2 hours for the 200km journey from Taipei to Hualien and another 1 hour and 40 minutes to cover the further 170km to Taitung. This has led to ongoing complaints both from politicians representing the region and the wider public. While it may not have been as visible as the construction of the west coast high speed line, however, there has been major ongoing investment in the east coast railway since the link between Suao and Hualien was opened in 1980. Since then, the alignment has been altered in many places to ease curves and provide new, longer tunnels allowing higher speeds, the track has been doubled throughout as far as Hualien greatly increasing capacity; and electrified all the way to Taitung. All this has helped bring the fastest journey time between Taipei and Hualien down by more than an hour and at peak periods trains leave Taipei for Hualien at ten-minute intervals. But usually the biggest gripe for passengers is not the time the journey takes but the difficulty of buying tickets as demand far outstrips availability, especially at weekends and holidays. One of the reasons railways have been and remain so successful as a means of transport is the inherent simplicity of their technology, especially the process of a flanged steel wheel moving on a steel rail. Superficially, this has remained largely unchanged for more than 100 years, since steel replaced wrought iron in the rails. Signalling systems have also been slow to change: in some places in the UK, signalling equipment first introduced in the 19th century can still be seen in everyday use. The complexity and initial capital investment involved mean that technological advances are usually only readily apparent on newly built railways although even Japan’s famous bullet trains are now more than 50 years old. The challenge facing TRA on its line south from Suao was therefore how to accommodate ever growing traffic and demands for faster trains on a line which was designed around early 20th century technology. Despite heavy investment in increasing capacity, it was like trying to squeeze a quart into a pint pot. For despite the big investment in extra capacity, the route remains very busy and congested. Express, local and slow-moving freight trains all compete for space on the same tracks, which are not on the 1435mm worldwide standard gauge of the THSRC but the narrower 1067mm gauge, first chosen for Taiwan’s railways during the Qing dynasty. A partial answer lay in introducing tilting trains. Designed to take the many curves of the east coast line at higher speeds than conventional trains, thereby helping reduce journey times and avoid the need for expensive rebuilding to reduce curvature, the first of these, the ‘Taroko’ class, was introduced in early 2007 after the THSRC opened along the west coast. 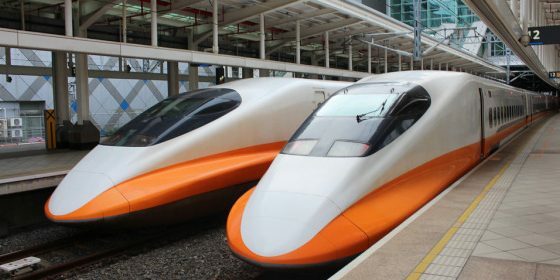 They were an immediate success, helping reduce the journey time from Taipei to Hualien by as much as one-third and were followed in 2013 by the ‘Puyuma’ class, capable of speeds of up to 150 km/hour. It was one of these which was involved in the 21st October derailment. Tilting trains are neither new nor unique to Taiwan. The technology is also used on the United Kingdom’s ‘Pendolino’ trains on the West Coast main line, as well as in many other countries; both the ‘Taroko’ and ‘Puyuma’ trains are Japanese designs (Japan shares with Taiwan the 1067mm gauge for its traditional railways). But they do create two immediate challenges for railway operators, both of which may have been greater in Taiwan than in other countries. On a dedicated high-speed line, trains all travel at similar speeds, making timetabling relatively straightforward. But TRA’s controllers have to squeeze the fast tilting trains in between much slower trains. Their higher speed is of no benefit if they are stuck behind slow moving stopping trains or even slower freight trains carrying bulk cement (an important traffic on the east coast line). This requires not only careful timetable planning but advanced signalling and train control measures to ensure that track capacity is used to optimal benefit. The second challenge is the need for a high degree of precision in the alignment and maintenance of track, especially on curves, to minimise the different stresses and strains placed upon it by heavy, slow moving bulk cement trains at one extreme and much lighter, high speed tilting trains at the other. In 2016 there were two derailments on the east coast line. Neither involved a tilting train although in subsequent investigations, the Bureau of High Speed Rail (BOHSR), which has an over-arching responsibility for railway safety procedures in Taiwan, did raise questions privately about track alignment and whether the new stresses caused by tilting trains were fully understood. Disturbing though this latest accident is, however, based on the number of accidents as a proportion of passenger-kilometres travelled (the number of passengers carried multiplied by the distance they travel), the TRA remains a very safe railway. Perhaps the key lesson is that technology alone can alleviate problems but is less able on its own to solve them. Michael Reilly is a Non-resident Senior Fellow in the Taiwan Studies Programme at the University of Nottingham and author of the first detailed English language history of the railways of Taiwan. Image credit: CC by Chi-Hung Lin/Flickr. TAGS: Puyuma Taiwan High Speed Railway Taiwan Railways Administration technology tilting trains.